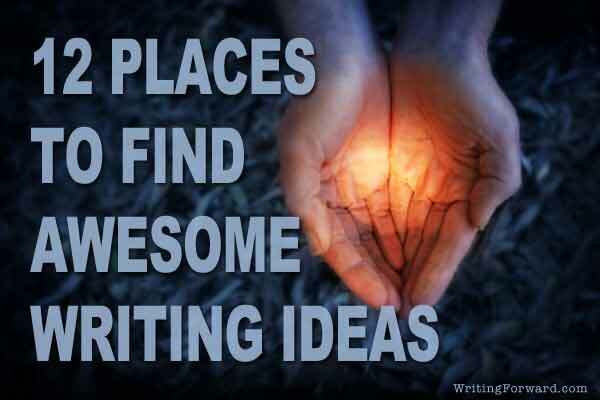 Where to find awesome writing ideas. Some writers are overwhelmed with inspiration and can’t find enough time to bring every brilliant idea to fruition. The rest of us are always on the lookout for compelling writing ideas to add to our inspiration archives. But writing ideas are not always easy to come by. So we constantly search for inspiration that will keep us happily tapping away on our keyboards. Some writing ideas are right in front of us, but if we’re not paying attention, we won’t see them. Others can be found with a little effort. Turns out, ideas are everywhere. The list below is nothing new — just some reminders that in your everyday life, there are endless sources from which you can draw inspiration. Your journal or notebook: How often do you go through and look at all the notes and ideas you’ve jotted down over the years? There are probably a few good ones that are worth exploring. People: Friends, family, neighbors, coworkers, and complete strangers can provide personality traits and personal experiences that you can explore in your writing. Nature: There is a long tradition of writers drawing from nature as the subject of poems or settings of stories. From the deserts to the seas to the stars, nature is rich with inspiration. Books and movies: We’ve all read books and seen movies that were clearly spawned from other, more original books and movies. But that doesn’t mean there aren’t some great writing ideas in them. What if the character had made a different choice at the beginning of the film? What if the novel had a similar plot but a completely different cast of characters? News and media: You’ll find everything from plot and character ideas to subjects for poems and essays in the news and scattered throughout our cluttered media landscape. Music and poetry: Don’t ask me how this works or why. Just know that it does. Reading poetry and listening to music relaxes your mind and opens it to countless creative possibilities. History: History is populated with interesting characters and packed with momentous events ranging from horrific to hopeful. But there are quiet moments in history, too. Any snapshot from humanity’s past could provide a treasure trove of writing ideas. Writing exercises and prompts: That’s what they’re for — generating writing ideas. 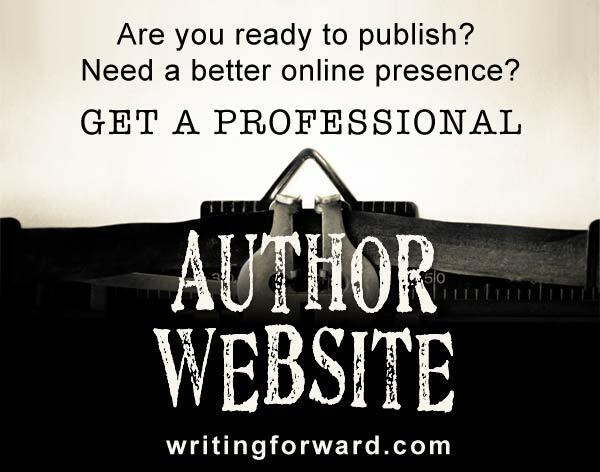 You can buy books of them, search them out online, or get them right hereat Writing Forward. Observations: If you don’t pay attention to your surroundings, you could miss out on some inspiration. From the sounds of your neighborhood to the scenes speeding past as you drive down the highway, simple observations during everyday life could provide your next big writing idea. Dreams: Before you fall asleep, ask yourself to come up with some new writing ideas. Get some books on dreams (lucid dreaming, for example), write down your dreams as soon as you wake up, and before you know it, your dreams will become the reality of your writing world. Science and technology: New inventions, technology of the future, and the wonders of science are fair game for authors. Whether you write sci-fi or contemporary fiction, the world of science and technology can inform your work. Images: Images are everywhere—on social media, billboards, advertisements, and even on your phone. Run a Google image search or peruse your personal photos and see if you can find an image that sparks your next writing idea. Do you have any favorite places to look for writing ideas? Where do you get your inspiration? Have any of the suggestions above informed your writing projects? Share your thoughts by leaving a comment, and keep writing. I was on an overnight bus ride last week, listening to a playlist I made several years ago. Between my exhaustion and the music, I got transported to that year, and I had this strange experience of intensely reliving specific moments and events. The weird thing was that I wasn’t exactly reliving them in the moment — I was narrating them. I had to save up all those thoughts, since I was on a dark bus with no light to write! Zoe, do you have a cell phone? A couple of times, I called myself from my cell phone and left a voicemail with some ideas that I didn’t want to forget. The new smartphones (like the iPhone) have light-up screens and text applications that allow you to just type in your notes. I know it’s high tech, but it sure comes in handy when you’re stuck without paper and/or light. Typing myself a text message is definitely the route I’ll go next time! A simple, good way to handle the problem :). You really get inspiration from anywhere and everywhere. Just the other day, I was at a nursing home and I watched a woman interact with her great-granddaughter. The interaction was so powerful and involved such a mix of drama and comedy that I immediately took note of it in my head. As long as you keep your eyes open and constantly evaluate the writing possibilities of everything you see, you can find stories everywhere! It’s so true, and another trick is learning how to transform what you see in real life and turn it into fiction. One of the struggles I had with an early novel attempt was that the characters were all based on people I knew in real life and it was almost impossible for me to fictionalize them or the scenes and plot. Basically, it would have been a memoir of sorts. So I scrapped it. But now I have a better idea of how to fictionalize real-world experiences, so maybe I’ll revisit that project one day. It’s a good point. It’s important to find inspiration in the things around you and not simply replicate those things. I think it just comes with practice, and time :). Replication is okay if you’re writing a memoir, but for fiction, half the fun is in fictionalizing. Since I have no desire to write a memoir at this point, I’m always looking for ways to twist things into fiction. Public transport always does it for me, even more so now I’ve moved to the country and tend to encounter the same people on the bus at the same time etc etc. It’s also a time when you’re forced to stop and think because you can’t do anything else (I get car and bus sick if I try and read). Your mind can wander wherever it likes. I haven’t had much opportunity to take public transportation but the few times I have, I definitely found myself surrounded by interesting and inspiring characters. Airports are great for this. I love this list, Melissa. I’m a big believer in this – our well can never run dry. The very act of being alive is enough to feed our brain with brand new thought. The entire list works for me, but I love the stuff that pops into my head just as I’m falling to sleep. Definitely gold to be found there. Thanks, Writer Dad. I get ideas sometimes while I’m trying to fall asleep too, but where they really seem to flourish is in the shower. Water must inspire me! Hi Melissa – These are great tips. I love the idea of having a character take a different direction, at the beginning of a movie you’ve watched. I get ideas from lots of places. Sometimes it can be from expanding on a simple story in a newspaper or magazine. Or it can be sparked from a comment someone has made. I like talking to strangers when I’m out and about and it’s amazing how many ideas you can pick up, just from things they tell you. The basic idea for the novel I’m writing now came from reading a true life story on the Internet and beginning to wonder what it would feel like to be in that situation. Cath, newspapers and magazines are awesome sources for writing ideas. I think I wrote a post about that way back when this blog first started. It’s true: there are characters, stories, and scenes all around us, if only we’d bother to look. Beautiful tickler list of ideas. Books and movies seem to flow the most for me, though a good starry night is great fodder for the mind. It really is just a matter of stopping and looking around to capture those ideas. Ideas are everywhere. I especially enjoy stories of how a single image can trigger an entire novel. The most recent case of this was the late Christy Jones, who was inspired to write a sprawling multi-generational novel by a picture of an old woman, lifting her skirts to jump over a ditch. This suggests that we might not get ideas so much as we uncover them. WereBear, that’s interesting; I hadn’t heard about Christy Jones’ novel inspiration. I guess a Google image search would be another way to get writing ideas. I have yet to really write anything based on my dreams, but I do have interesting dreams sometimes. In fact, sometimes I snooze my alarm not because I’m sleepy, but because the dream is so interesting and I want to know what happens next. I have written down some dreams though, if my friends happen to appear in them (usually doing something strange) and I know they will be amused when I send the story to them. Many great inventors, writers, and others have gained great inspiration from their dreams. Have you ever considered keeping a dream journal? You’re right – family and friends and even neighbors. But lately I have listening in on twitter conversations. I tried tuning out the drone of internet marketers and instead zeroing in on random conversations. Even a random tweet can be very inspiring – you know the quiet but noticeable undertone of desperation in a tweet, sometimes malice passed around like so much wit, and of course the direct conversations that simply spur you to pause a moment and scramble to type it up in Word or notepad. You have to or you risk losing it. The same can be said of the other social media networks, but to me nothing beats Twitter for its sheer energy and sense of immediacy. If that fails, you can always go out and take a long walk – the big artillery of creative inspiration. Makes you more receptive to ideas. Works every time. I could see where listening in on some Twitter conversations would inspire writing ideas. That’s a clever way to gain inspiration! For my next article on writing ideas, I’ll have to cover sources for online inspiration, although you’re right — nothing beats a long walk. I’ve had some of my best story ideas while walking. It seems to be a combination of receiving a dose of outside stimulation from the world around me, and distracting my senses so that something interesting can bubble forward from my subconscious. Whatever the reason, I like the outcome. Nature is a great stimulant for creativity, which is why so many artists use it as a subject – for songs, paintings, photography, and of course, in writing. What an inspirational jumpstart! The key is to just start writing – and for many that’s the hardest step. I has to become a daily habit, as routine as the morning cup of coffee. Life is so full of inspiration – one just has to learn to be in the moment and capture the emotions. Looking forward to more of your writing! Yep, daily writing is one of the most important habits for a writer to develop. Just crack open that notebook or launch Word and GO! I keep a ‘creative ideas file’ on my computer to capture these kinds of things. Trouble is, I so rarely look at this file. Most of my ideas come from newspapers and magazines. This is probably because most of my blog writing is focused around providing my opinion on a range of current issues with respect to business ethics, and I find that keeping abreast of newspapers and magazines as much as I possibly can helps me to expand the range of topics upon which I can draw to produce what I hope is a reasonably interesting range of discussions. Hi Andrew. Newspapers and magazines are great sources for inspiration for any type of writing, even fiction and poetry. That’s a smart place to look for ideas. Hi Melissa, my favorite place for writing ideas is nature. Nature is an unending source of wonder and inspiration. However, I find that when I stop to keep my mind open, ideas are everywhere, in every breath, motion and mundane act. I think we just have to turn our receivers on to catch the ideas that are all around us daily. Nature is my favorite place to gather writing ideas too, and I love poems about nature when they’re done just right, but it’s true – ideas are everywhere. At a writing conference several years ago, an agent said that he thought any story theme should be easy to summarize in a single sentence. I’ve yet to master that for either of my novels, but sometimes I work it in reverse — getting the summary first, and letting a story idea flow from that. My current favorite source is the headlines over advice columns in the newspaper. They’re all about laying out human conflict and drama in a brief, memorable way. 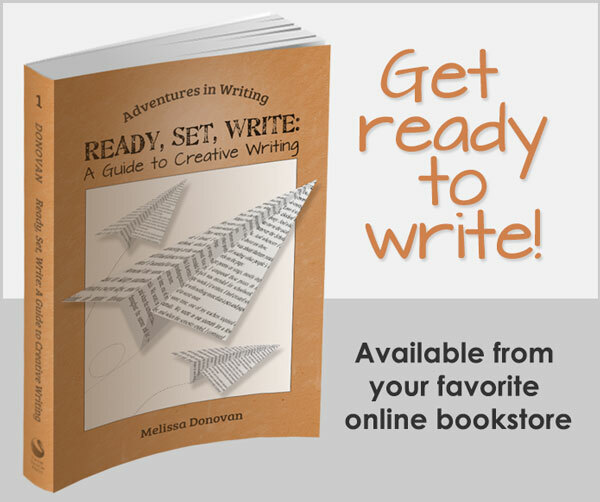 Tailor-made for writers! Ah, newspapers again. This is good. When I first started this blog, I did a writing exercise about using the news for inspiration, and I think it’s an ideal source. I love the idea of using those advice columns’ headlines. Very clever! 1. I keep a daily journal of writing prompts, using the book, “A Writer’s Book of Days” by Judy Reeves. It gets the muse working, and though most of the daily entries end up being unusable, some are worthy of future stories/articles/columns. 2. I study the wild critters. We live in the woods and happily co-exist with a host of deer, bears, foxes, raccoons, wolves, birds, etc. As I study them, I receive many insights into human nature that I use in my weekly columns. 3. Smells do it for me. Mm-mm-mm! The faintest aroma of something will evoke a buried memory worthy of writing. Sal, you have a lot of great sources for inspiration. I use some of these too, though I can’t say a smell has ever triggered a writing project for me. I think that’s cool though! Yes, I work from home so no public transport for me either, but I hear it’s a fantastic way to get a little extra writing done each day – and an interesting source of inspiration. I know this is self-promoting:) But, I have an image writing prompt where I feature an image per day to inspire writing. At the moment, it is not attracting many writers, so I hope that someone might find it helpful. I love writing prompts. Using images, such as art or photos, is a great way to generate writing ideas. I’ve had ideas pop into my head while driving home from work. A few months back, while racing a migraine home to see who would get there first, I wondered what else could potentially be behind the migraine or the race home (in a Stephen King/Jekyll & Hyde kind of way) and what might happen if I didn’t make it. It’s those ‘what if’ questions for me. I’m also inspired by music. Certain pieces of music or bits of lyrics speak to me and evoke images and scenes in my head. I’m right there with you. If I had a dollar for every idea that popped into my head while I was in the car or shower…And getting it all on paper is definitely the hard part. I find that keeping lots of notes helps immensely. I’m writing a story now in present tense third person. I have the opposite problem: I keep slipping into past tense. I think it’s because most books are written in third person past tense, so my mind reverts to what is familiar. The best advice I have is to revise carefully and check for areas where you slipped into the wrong point of view or tense. I would probably do one revision focusing on that alone. Good luck to you! I got an idea for a novel when I was riding the train to Colorado and I saw a large house. I started imagining what secrets that house held. My first (and most reprinted) article came from my experiences with my niece and nephews. I love watching Project Runway. The way they translate various inspirations into designs inspires me to see the world around me in a new way. My blog is all about gleaning writing ideas from everyday life and I’m going to post a link to this post for my followers. I get a lot of my inspiration from scientific discoveries, especially animals and space. What would it feel like to fall into a black hole? Why on earth would somebody want to clone a dinosaur? How would a massive meteor strike affect life today? It’s awesome to think of how much humans have yet to discover! We will never fully understand the universe, so we can never run out of ideas. This is exactly the kind of stuff I love, because it makes for great science fiction. I’m always looking for breakthroughs in science and technology! A lot of my ideas latley have come from listening to NPR, they always seem to have something interesting to say. Normally though I am driving and have to try to remember the idea before it poofs away. Other times I could just be sitting around and something suddenly pops in my head. I sometimes think it’s funny that a completly random idea will hit at the strangest of times. I had an idea while driving the other night, and I needed to remember it for at least fifteen minutes. Normally that wouldn’t be a problem, but in this case, it was several lines of poetry that I did not want to forget, and I had a lot on my mind. When I got to a stoplight, I took out my phone and made a voice recording using an app called iTalk. Worked like a charm! The Vancouver Art Gallery has invited 12 authors to sit in the lobby and write a live account of whatever it is they see (or imagine they see) as the day unfolds and different people visit the gallery. I was listening to one of the authors being interviewed, and she says that for three hours after she gets home, the ideas are still flowing–what *was* that couple discussing, was that a bomb or a hatchet in that man’s briefcase? Truly, the ideas are everywhere around us. Our job is to watch and wait for them to coalesce into story. And to always carry a pen and paper or a cellphone! People-watching is definitely a great way to get writing ideas. I find that cultivating observation skills is immensely helpful because then, you don’t have to go out and sit for hours waiting for interesting people to appear. Instead, you’ve trained yourself to always be alert for interesting people, sights, and sounds. However, I’ve had some great people-watching sessions in airports (although it’s been a while). I think ideas and inspiration comes from everyone and everywhere. There is never a dull moment in this life when you can’t find something to write from or get your ideas from. We live in the milinium now where we have the internet and google ( thank-god) but what about old fashioned ideas or how our grandmothers lived, maybe an idea could be through the eyes of your animal – what do they see everyday or smell or look at.. maybe you are sitting on a train or a plane or in a car and you spot something that no one else is going to see so you write about it. You can start of a sentance with what happened the next day I saw a ? Look around your living room or house. What happens if someone moved in with you and you didn’t know them – there is story. Love story or a horror love story you have heard from someone or your next door neighbours.. what is the story with the one person who you knew of there life but they didn’t know you. What did they think of you through there eyes? Excellent points, Sarah. Ideas are everywhere. We just need to figure out how to see them!